Our new London showroom on Broad Yard in the heart of Clerkenwell is open to visitors all week as part of Clerkenwell Design Week. We’ll be on hand at the showroom together with representatives from Saneux to meet architects, specifiers and clients to talk through our latest product innovations and offer our expertise on all aspects of commercial washroom design. Our new brochure will also available to pick up from the showroom all week. Some of our latest products and design innovations will be on display, including our full height flush front Alto Laminate toilet cubicles, complete with brand-new smartLOK cubicle locks. 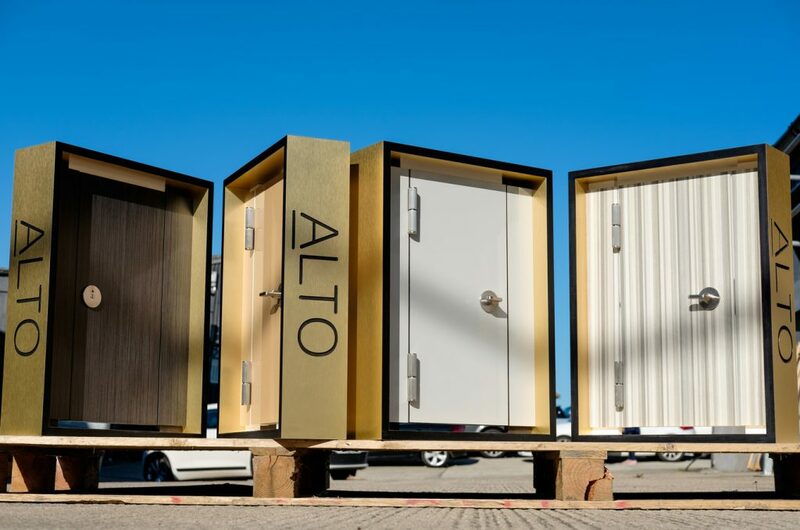 Four specially-created scaled down samples of the Alto toilet cubicle doors, each with a different finish, are available to view at the showroom during Clerkenwell Design Week. Visitors to the showroom will also be able to take a closer look at the bespoke Corian trough-style vanity units paired with Washroom’s Tego hinged mirror storage system in addition to its new Concerto duct panel system faced with toughened glass with a metal interlayer. Washroom worked closely with Saneux to create a number of commercial room sets as part of the new showroom, each carefully designed to provide the perfect backdrop for the Saneux products on display. Our partner company, Cre8 Joinery Solutions designed and manufactured some of the additional bespoke units within the domestic bathroom area of the showroom. 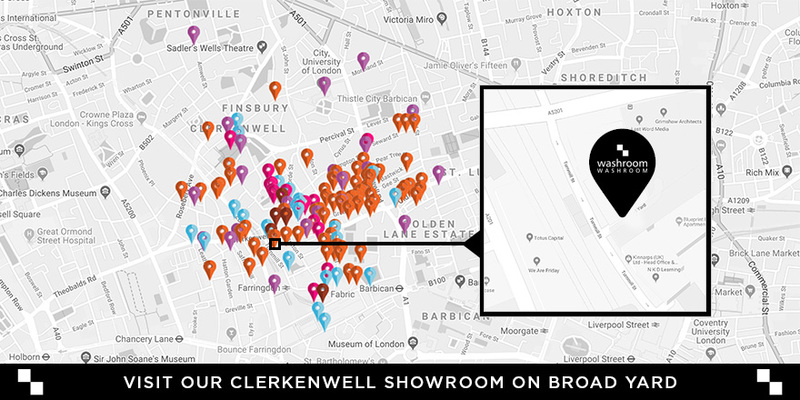 The showroom is located at 66 Turnmill Street, London, EC1N 5RR and will be open every day during Clerkenwell Design Week from 10am to 5pm.